Or, I should say, more Gen III Pokémon are landing this week. 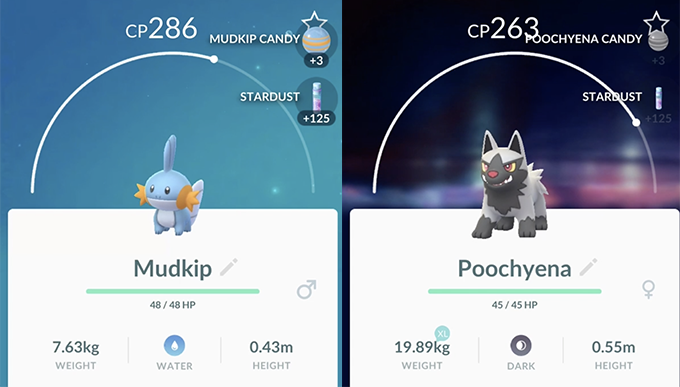 Niantic tells me that at least 50 new Pokèmon will be added to the game before the week is over, adding to the handful of Gen III monsters that showed up just before Halloween. Niantic isn’t dropping everything at once this time around – they’ll be rolling them out over time, instead. I’m told they’re currently planning on having future Gen III Pokèmon released in themed groups – more Gen III Fire Pokèmon one week, Gen III grass Pokèmon another, etc. The choice to stagger the release schedule within a generation like this will probably bum out anyone itching to catch’em all ASAP – but it makes some sense. Niantic only has so many generations to work with within the existing Pokèmon universe – and once players catch most of what a generation has to offer, they start clamoring for more. By splitting things up, they’re able to keep interest levels a bit more consistent over time. Gen III is otherwise known as the “Hoenn” generation, and is comprised of Pokèmon that first appeared in Pokèmon Ruby and Sapphire back in 2002. Niantic’s Archit Bhargava also confirmed to me that they’ll be hosting an in-game holiday event this month. He didn’t say much about what to expect, but did note that they’re aiming to start it up sometime around December 21st. Meanwhile, the company also announced that weather – as in the real world weather outside – will impact the game. More details on that here.